Mystic Vale: Conclave is an expansion and storage solution for the card crafting game of nature's power. The new Equinox mechanic allows players to greatly speed up gameplay and can even scale up to 6–player games with the two additional starter decks provided, while Conclaves grant players customization of their  the starting decks of advancements and vales, creating a new play experience each game. Unique totem cards imbue players with awesome abilities they can use each turn, to truly feel the power of Gaia’s blessing. Spirit counters provide a way for players to track their spirit symbols during their turn. Conclave comes in an extra large box to hold Mystic Vale and all its expansions, including plenty of room for future sets. 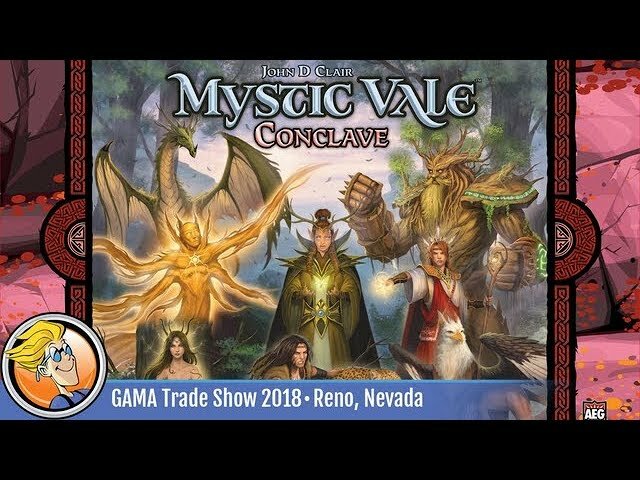 Buy Mystic Vale: Conclave for added variety and an elegant storage solution for your Mystic Vale collection.